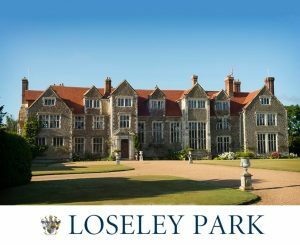 With a rich history spanning back to the 1500’s, Loseley Park is set in the tranquil Surrey Parklands an area of outstanding natural beauty. Built as a retreat for Elizabeth I, it still serves as the More-Molyneux family home and serves as a fascinating and stunning wedding venue. Unchanged since Sir William More laid the first stones, it boasts an impressive number of historic features. The Great Hall wood panelling incorporated from Henry VIII’s Nonsuch Palace, royal portraits and gilded drawing room ceiling all add to the regal and lavish atmosphere. 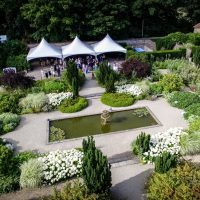 Step outside and you discover a 2.5 acre, peaceful walled garden, containing a series of themed ‘rooms’ filled with heady blooms and exquisite foliage. With the 17th Century Tithe Barn and Chestnut Lodge, there are a wide number of options for bridal couples to choose from. 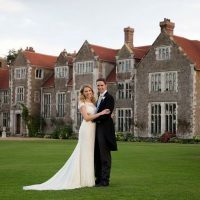 Loseley Park can cater for weddings and civil ceremonies of all sizes, from small intimate gathering to grand celebrations with over a hundred guests. Exclusive catering is provided by reputable in-house caterers Caper and Berry. The great Hall with its magnificent surrounding accommodates up to 103 guests. 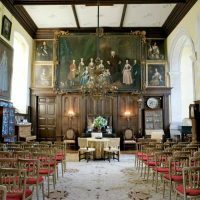 Smaller ceremonies can be held in the elegant drawing room which features a striking fireplace carved from a single block of chalk. 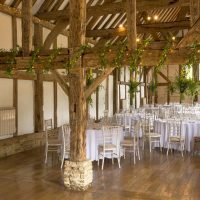 The Oak beamed Tithe Barn is perfect for more intimate weddings of up to 140 guests. The rustic and neutral ambience makes it a versatile venue for summer and winter celebrations alike. The smallest venue at Loseley Park is Chestnut Lodge. Perfect for smaller gatherings of up to 45 guests and offers sensational views over the park. The private chapel can be made available for blessings upon request. To discuss your needs please call 01483 405120 or use the online enquiry form.